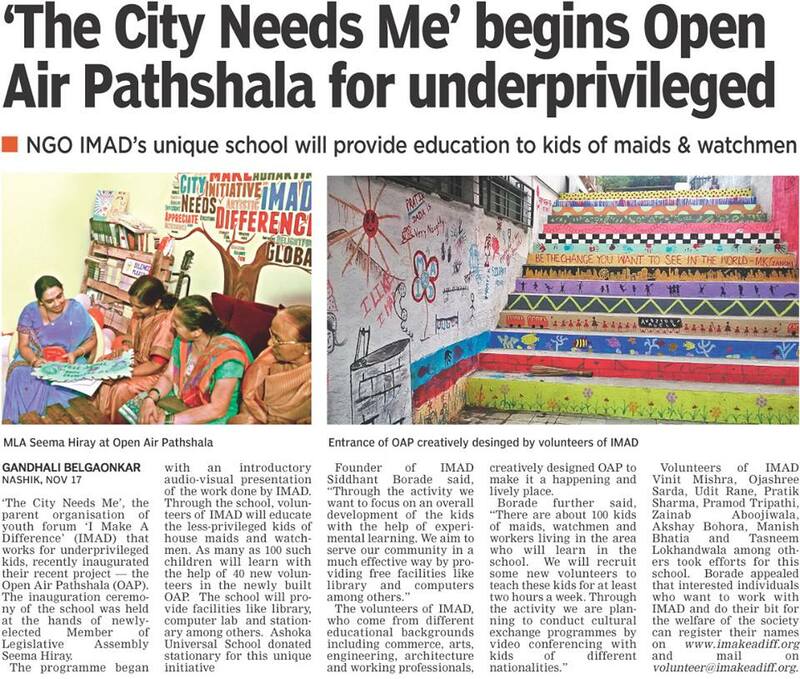 Open Air Paathshaala is a creative space where kids undertake experiential and hands on learning. OAP was built completely using waste pallets, low VOC paints and discarded materials in order to promote sustainability through reuse & recycling of products. The space is a vibrant learning centre equipped with modern amenities to facilitate a “Learning-by-Doing” approach as opposed to conventional schooling techniques. Along with a few friends, I designed & refurbished the space, established key partnership with institutions to assist in developing a creative curriculum and adopting best practices in teaching. The Paathshaala (Meaning “School” in Hindi) is India’s first fully-functional space connecting school kids to young professionals who are eager to teach various skills ranging from theatre, cinematography, programming, language, etc. The concept has been immensely successful and has interested key people in various cities. We’re in process of building 2 more spaces in the coming year.